Mandela: Long Walk to Freedom is a film that has drawn a fair amount of attention, not least for being released not long after Mandela’s own passing. It is not a perfect film and is, for the viewer, an extensive journey (clocking in at 2 hours, 27 mins), but one that is worth taking. 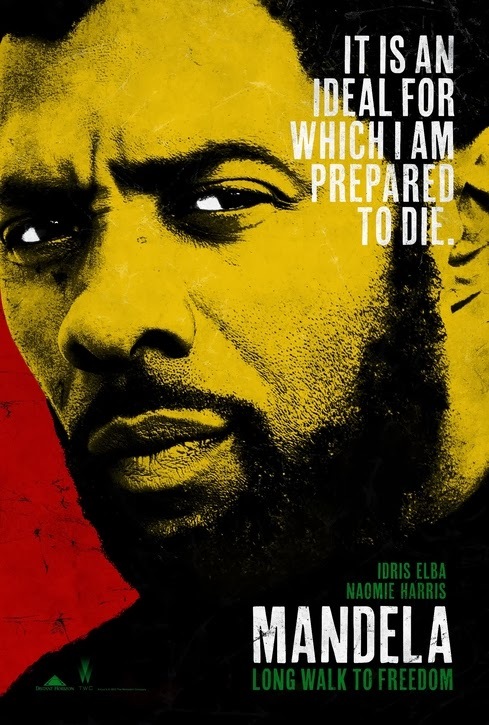 It is an inspiring, moving and shocking story beautifully acted by leads Idris Elba (The Wire, Luther, Thor) as Mandela and Naomie Harris (Skyfall, Pirates of the Caribbean) as Winnie Madikizela-Mandela. From the very beginning, the film declares itself to be “a very important biopic”, with a sweeping score set to dramatic slow-motion, frequent captioning of locations & dates and comprehensive dialogue, unpacking every moment that is captured of Mandela’s life. It cannot be described as a subtle film and at times verges on seeming a tad simplistic. Mandela and Winnie look just so glamorous and striking compared to the white South Africans who are generally unimpressive, ordinary-looking, often cruel and at times sadistic. The film moves quickly through events, from Mandela’s childhood in the South African countryside to studies in law and increasing involvement with the ANC (African National Congress) and acts of defiance. It only really slows down once we reach Mandela’s imprisonment on Robben Island, where he was to spend 18 of his 27 years of incarceration. The film’s pace suits Mandela, a person you feel thrived on momentum and his connections with others. When he reaches Robben Island, there is stark contrast between the action of his life and the monotony of the slow days in prison, isolated from his family & his ability to aid the cause, a reality that is shown as pure torture for such a driven man. Having been based upon Mandela’s own autobiography “Long Walk to Freedom” it is the painstaking detailing of events which makes you conscious of the responsibility that the filmmakers must have felt ... and that sincerity is to their credit. The depiction of racism and horrors during apartheid are distressing to view ... and distressingly recent. 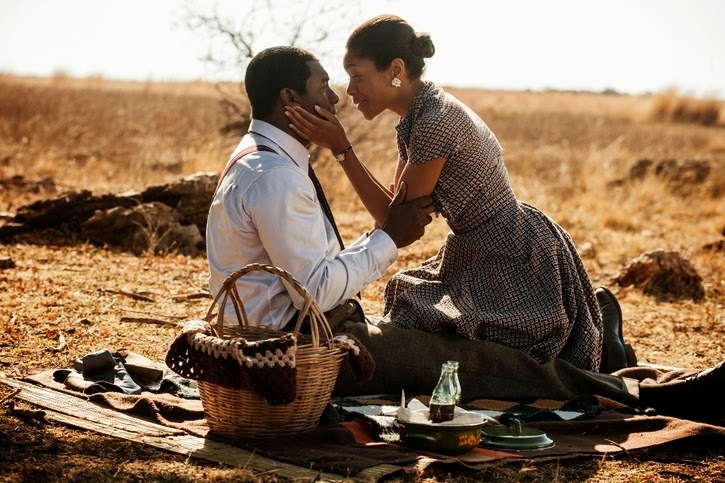 The detailed recreation of the period is immersive and the film grants a fascinating insight into South Africa of the 50s through to the 80s and 90s, in particular the striking melding of Western style and influences with traditional South Africa. The soundtrack is a joyous mix of songs from the time and the traditional. It is the performances that really grip you, in particular those of Elba and Harris. 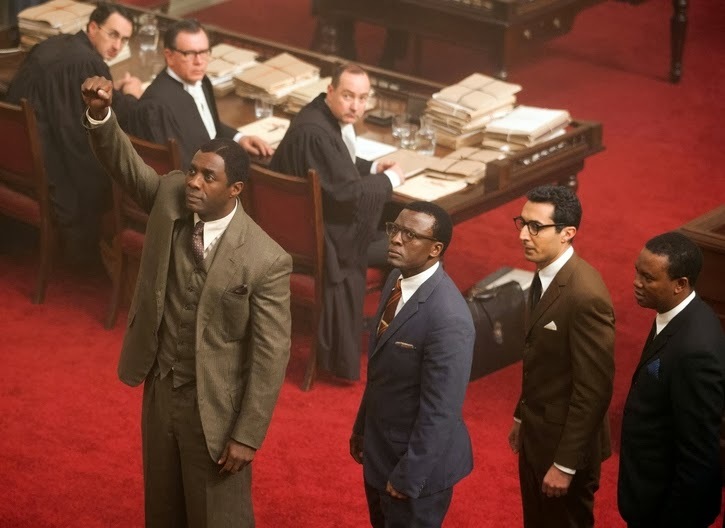 Elba’s Mandela is an impressive figure: a determined man always standing tallest in the crowd, but not without his faults. We see evidence of Mandela’s temper and fleetingly his infidelity during his marriage to his first wife, Evelyn. Anyone familiar with Elba from TV series The Wire or the Luther and Thor films will know that the man can do “intense” to the point of intimidating, but what was lovely to see here is his portrayal of Mandela’s intelligence and warmth, particularly in his protectiveness towards his people and love of his family. Elba gives a restrained yet sensitive portrayal of pain, particularly in a letter-opening scene in prison. 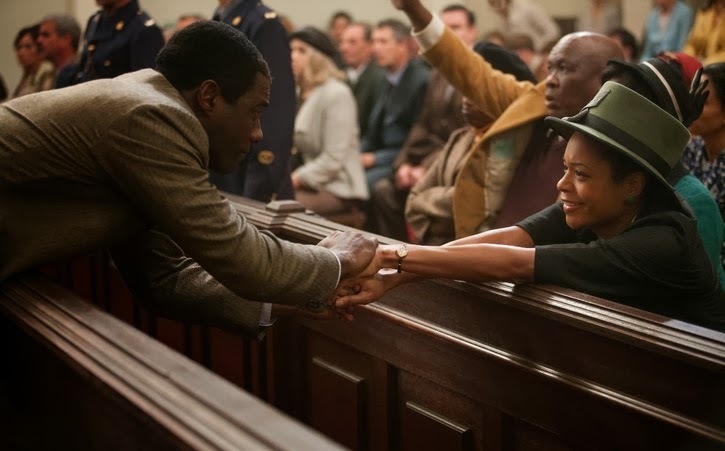 But Naomi Harris, as Mandela’s second wife Winnie, is the performance which really blind-sided me. Having only known Harris from the Pirates of the Caribbean films and Skyfall, this is a career-propelling role for her. She is luminous, spirited and a force to be reckoned with as Winnie. 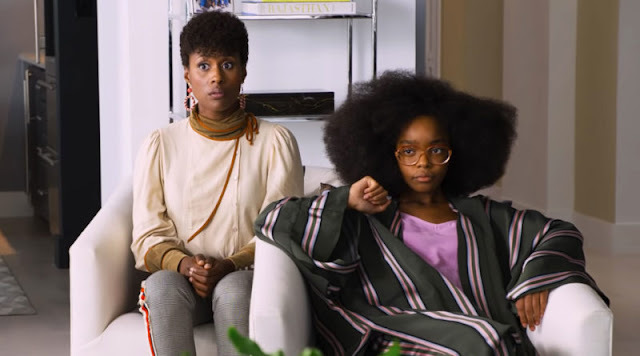 Her portrayal of unrelenting inner fight despite Winnie’s particularly personalised torture while acting as sole parent to her children, is acutely affecting. The journey for husband and wife is moving and there is real chemistry between Elba and Harris. Nelson and Winnie are shown as a tour de force couple of strength, uncompromising and willing to sacrifice all for the cause of their people. You care deeply for them and mourn the tragedy of circumstance which afflicted their relationship. I left Mandela: Long Walk to Freedom moved (and with U2’s apt and catchy “Ordinary Love” in my head) and wanting to know more about Mandela and Winnie and this period of strife in South Africa. I take this as a sign that despite its flaws, it is a successful film and biopic. 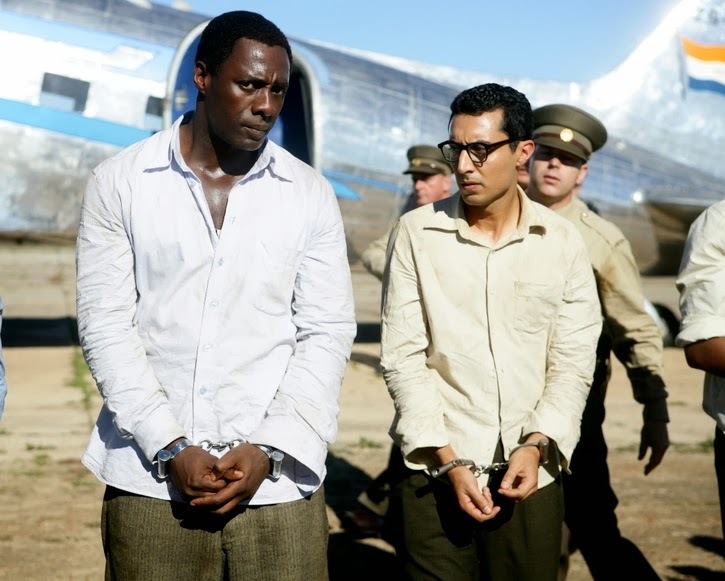 Mandela: Long walk to Freedom is in cinemas on the 6th February. If you see the film, please share your thoughts below.